I have added to the bottom of the 2013 events page (above) the events I already know Scotty is scheduled for in 2014. It is hard to believe 2013 will be ending soon and 2014 will be here before we know it! 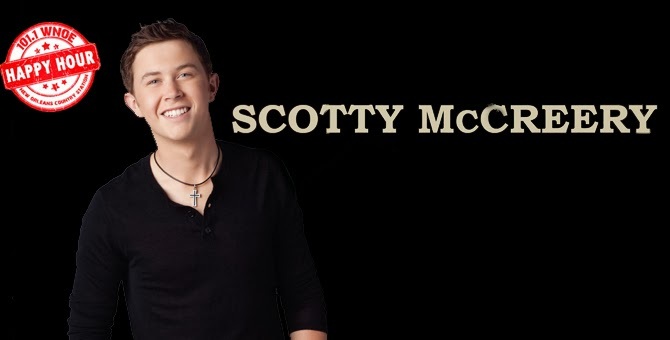 North Carolina country singer and "American Idol" winner Scotty McCreery will headline this year's Winterblast country music festival Jan. 25 at Hampton Coliseum. Tickets are on sale today. The rest of the Winterblast lineup features Drake White, Eric Paslay and Brothers Osborne. The event will also feature Levi Road, the winner of last year's Winterblast Challenge contest. Tickets are $18.50-$38.50 from Ticketmaster. At age 17, McCreery won the 2010 edition of "American Idol." Since then, he's released a series of country singles, the most successful being "The Trouble With Girls," and "I Love You This Big" both of which climbed into the Billboard country Top 20. Winterblast is presented by radio station WGH-FM (97.3), The Eagle; and Hampton Coliseum. 1. Listen daily to WRNS! We'll be giving away tickets four times per day between Nov. 18th and 27th. Details will be announced on air. 3. We'll have two Win It Weekends - the weekends of Nov. 22nd and Nov. 29th. 4. We'll have tickets available in the WRNS Country Club Trade-In Store on Nov. 25th.